In the Christian movie, Bella, José, played by Eduardo Verastegui, is an athlete with a very promising future. All the long-night practices, games, and effort were about to pay off just as he was going to sign a deal with a very prestigious soccer team. José was beginning to live the life he’d always imagined to have. What was not to love? Great clothes, expensive shoes, beautiful cars and a future that he couldn’t wait to experience. Until a tragedy strikes and José is the one to blame. All that bright future ahead of him starts to dim till is completely black. A few years later in this Christian movie, we meet Nina (played by Tammy Blanchard), previously a dancer, now a waitress who discovers that she’s pregnant. She had moved to New York to pursue her dream as a dancer but she quickly had noticed that achieving it was way harder than she thought it was going to be. She had gotten a job as a waitress in El Callejon Restaurant and even though it wasn’t what she had imagined for herself, she liked it there. Not having anyone in the city would make her feel lonely but the employees from the restaurant had become her family. Now she was pregnant by a co-worker she didn’t love and now she was seriously inclining on not having the baby. After the tragedy involving José, he went to prison, battled depression and guilt, changed his lifestyle, didn’t drive any more cars and started to work in his brother’s restaurant as a chef. He had become quiet, separated from the world and his family plus he chose to live alone. Later on in Bella we can make the connection that Nina works at the same restaurant owned by Manny, José’s brother, and where José himself works at. Nina was trying to get as many shifts as she could as she needed the money to pay the clinic and not have the baby anymore but once again being late to her job caused Manny to fire her. José didn’t speak much but seeing his brother fire Nina made him feel sympathy for her and decides to go after her. Leaving his brother without a chef during the lunch rush. 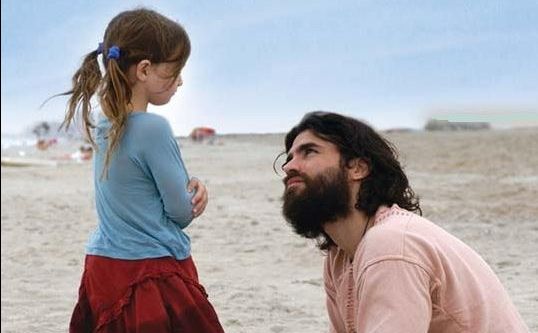 At this moment in the movie, Nina and José begin and adventure of self-discovery, friendship, and forgiveness. José is comfortable with Nina and after hearing her desire to not have her baby, he has a goal of not letting that happen. Both of them feel connected somehow to each other. Each of them starts feeling at ease with one another as Nina tells José about her beloved father and he tells her about the tragedy he experienced years before that stopped his career as a soccer player. Inside of José he knew that he had gotten to know Nina for a reason and he knew he had to convince her to have this baby. He felt like he could atone the tragedy he had caused with reminding Nina of how she had life inside of her. Meeting her had sparked light and hope in his life, something that he had not felt in a long time. He had a new dream and was looking forward to achieving it. Bella is very inspirational and filled with great acting. Tackling not just the theme of life and abortion but the decision of adoption as well. At first, I did not expect the film to present a tragedy like the one it presents but its one of the things that makes this movie different. The film shows these themes with realness and each character has a touch of complexity, basically taking a life of their own. This Christian movie tells the captivating story of two broken people who become friends where one is scarred by the past and the other is fearful and uncertain of the future. Although God is not directly mentioned in this film His work and plan is woven in the story. For example, Nina is struggling physically, emotionally and most importantly spiritually with the decision of keeping her baby or not. Bella doesn’t have a clichéd ending which adds to its realness plus is a great reminder to us the viewers on how we can impact other people’s lives by simply being at someone’s disposition and taking the time to listen. To not focus just on ourselves, as a society today ultimately is, and start thinking of others.